Emily Hertzman is a sociocultural anthropologist whose research focuses on Chinese Indonesian mobilities and identities. She received a B.A and M.A. from the University of British Columbia and a Ph.D. from the University of Toronto (2016). 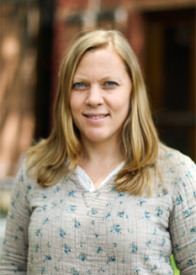 Emily Hertzman is the coordinator of the Ethnography Lab in the Department of Anthropology at University of Toronto and a Post-Doctoral Fellow at the Asian Institute, where she manages the Richard Charles Lee Asian Pathways Research Lab.